Reaching animals everywhere and ensuring accurate financial reporting from rescues. Animals everywhere deserve compassion. You want to help all animals in need, regardless of geographic location; but how do you know your money is ever getting to the animals as you intend? Cold Noses Foundation was founded to solve just that dilemma. All organizations requesting funds have to undergo a rigorous screening process. If funds are granted, the process does not stop there. All funds (every penny) is accounted for in follow-up reporting to ensure our donors’ funds are being used efficiently and as-intended. Our Mission: Preventing animal suffering around the world by funding life-saving veterinary care, outreach and emergency relief programs. Cold Noses is a grant-making organization. We focus on the small, but effective organizations, allowing us to provide critically needed funds to those organizations who are doing excellent work in their communities. These are the "boots on the ground" rescues that are out there in the streets, in the swamps and anywhere else there are animals in need- feeding, rescuing and caring for the abandoned, abused and injured animals. 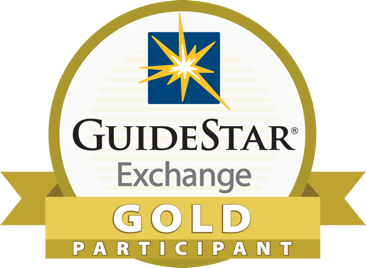 Cold Noses is a Guidestar Gold Level participant which means we are dedicated to reporting transparency. Finally, Cold Noses is an all-volunteer 501(c)(3) organization. This means we never use your funds to pay our directors and your donations are up to 100% tax deductible. Founded in 2010, Cold Noses Foundation has been actively granting to kennels and rescue organizations around the world every year. Over time, we have developed our grant process to be as objective and critical as possible to ensure the projects we fund are some of the most efficient and successful. The Cold Noses Board is comprised of a team of passionate animal advocates. Each member brings their individual professional and personal skills to the team. Our enthusiasm about helping rescues achieve their goals is evident in each and every one of us.